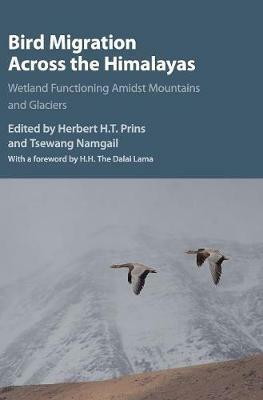 Birds migrating across the Himalayan region fly over the highest peaks in the world, facing immense physiological and climatic challenges. The authors show the different strategies used by birds to cope with these challenges. Many wetland avian species are seen in the high-altitude lakes of the Himalayas and the adjoining Tibetan Plateau, such as Bar-Headed Geese. Ringing programmes have generated information about origins and destinations, and this book is the first to present information on the bird's exact migratory paths. Capitalising on knowledge generated through satellite telemetry, the authors describe the migratory routes of a multitude of birds flying over or skirting the Himalayas. The myriad of threats to migratory birds and the wetland system in the Central Asian Flyway are discussed, with ways to mitigate them. This volume will inform and persuade policy-makers and conservation practitioners to take appropriate measures for the long-term survival of this unique migration.